There are lots of people who simply wouldn’t buy any of the Pixel phones because of Verizon’s exclusive carrier deal. This is despite Google adding a financing option for the unlocked model, but according to separate reports by 9to5Google and Android Police, T-Mobile will soon begin carrying not only the Pixel 3 and Pixel 3 XL but also the incoming Pixel 3a and Pixel 3a XL. Since its 2016 launch, the Google Pixel lineup has remained an exclusive offering on Verizon Wireless, but if these reports are true, we may soon see an end to this exclusive streak. Finally. 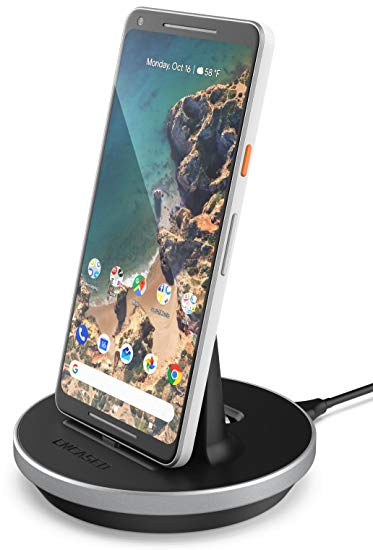 Apparently, the Magenta carrier is already testing the compatibility of the Pixel 3a on its wireless network ahead of the anticipated May 7th launch. The budget-centric device has been in the rumor mills for quite some time but it seems the search giant has finally settled on a suitable release date. We don’t expect the T-Mobile carrier deal to affect Verizon’s deal with Google. If anything, it should mean we’ll have two carriers selling the Pixel phones in the U.S., which should be a welcome idea. As for the other two major carriers – AT&T and Sprint – details of availability remain unknown. The fact that the Pixel 3 and Pixel 3a are set to start selling through T-Mobile doesn’t guarantee anything with respect to the Pixel 4‘s availability on the carrier. But we are hopeful that this move opens the door for the Magenta carrier to sell the phone when it arrives later this year.